One of my Dominican students last semester wrote a piece about his favorite place- the Table Tennis hall. I’m not sure where it is- maybe in the Bronx. 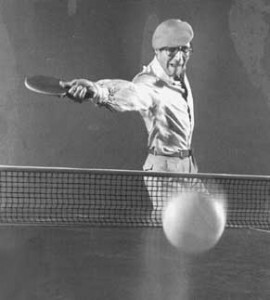 I think he was a very high ranking table tennis player in DR. He described the same kind of atmosphere.